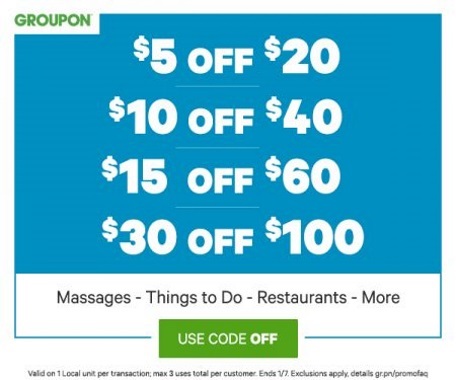 Groupon has a Flash Sale today, when you buy more you can save more! Save up to $30 off with the promo code below! Take $5 off $20, $10 off $40, $15 off $60 or $30 off $100 or more. Enter the promo code OFF at checkout. Offer is valid today only Saturday January 7, 2017.